TV coverage of the 2018 midterm elections witnessed soaring viewing gains -- up nearly 60% -- versus the last midterm election coverage. Virtually all networks posted significant hikes versus four years ago. Total Nielsen measured viewers 2 years of age and older pulled in 35.308 million in the prime-time period between 8 p.m. and 11 p.m. ET -- 57% higher than in 2014. TV election viewing in 2018 was also 5% more than in 2010 and 22% more than the 2006 midterm coverage. Fox News Channel touted the best results for an individual network. During the 8 p.m. to 11 p.m. ET time period, Fox News Channel had 7.8 million total average Nielsen measured viewers (up 23% versus 2014), followed by NBC with 5.7 million (40% more), ABC at 5.3 million (rising 70%), CNN with 5.1 million (up 141%), MSNBC at 4.7 million (182% higher) and CBS with 3.9 million (sinking 24%). Univision, which did not air election coverage in 2014, was at 1.5 million. Telemundo -- which also did not air coverage in 2014 -- had 921,000, and Fox Business came in at 379,000 (187% more than in 2014). Looking at a broader time period -- from 6 p.m. to 1 a.m. ET -- Fox was on top compared to other cable TV news networks. It tallied 6.12 million, followed by MSNBC at 3.95 million and CNN with 3.88 million. CNN posted the best results when it came to key 25-54 TV news viewers in prime time, at 2.5 million. Fox News Channel was at 2.4 million, followed by NBC, 2.3 million; ABC, 2.0 million; MSNBC, 1.4 million; CBS, 1.3 million; Univision, 658,000; Telemundo, 468,000; and Fox Business, 63,000. All TV news networks generally pared back when it came to advertising time -- typical for big election-night coverage. For example, during the period from 7 p.m. to 10 p.m., CNN aired six minutes of advertising time, according to iSpot.tv -- down from 42.5 minutes of advertising the night before. 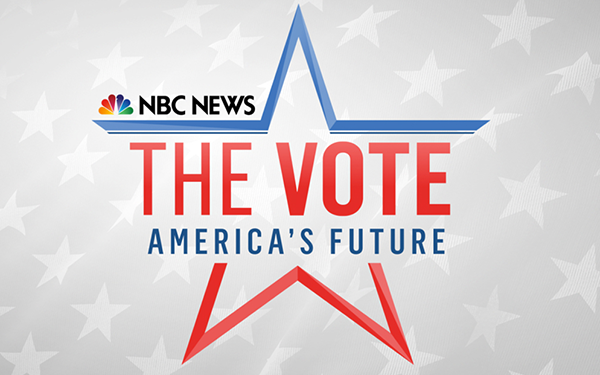 Election night 2018 coverage on the network came from 10 brand advertisers and one nonprofit in prime time. MSNBC aired 19 minutes of advertising, down from 32.5 minutes the night prior -- 32 brand advertisers. Fox News -- had the most ad time -- 25 minutes, down from 38 minutes the previous night, with 47 advertisers. The biggest brand spending on the entire day for cable news networks, in order of highest spend: Apple, Facebook, PlayStation, Google and Latuda.